Adam Birnbaum is emerging as one of the top young voices in jazz piano. Since arriving on the New York scene in 2003, he has become increasingly prominent performing in clubs and festivals around the world, working with artists as diverse as Greg Osby, Al Foster, Eddie Henderson, Carl Allen, and Wynton Marsalis. Adam’s early education took place in Boston. In 2001 Adam became a member of the inaugural class of Jazz Studies at the Juilliard School. After graduating in 2003, Adam won the American Jazz Piano Competition in May 2004 to become the American Pianists Association’s Cole Porter fellow in Jazz. Since then Adam has established a busy performing career as a sideman and as a leader. Adam performs regularly with Greg Osby, Al Foster and many others, as well as leading his own trio. Adam has maintained a private teaching studio in NYC for years, working with students of all ages and experience levels. He has also performed jazz workshops across the world and has served as adjunct jazz piano instructor at The Juilliard School. 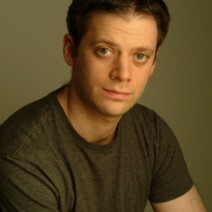 For more about Adam, visit www.AdamBirnbaum.com.